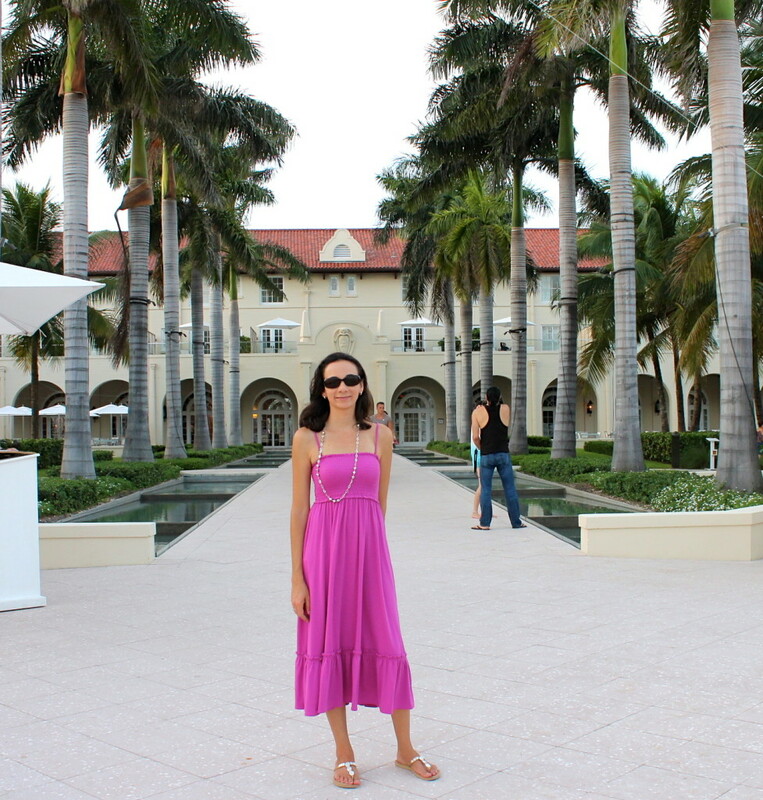 As soon as I entered the Casa Marina, a Waldorf Astoria Resort, I felt myself being transported back in time. Built in 1920 the hotel has a strong presence that combines an old Key West laid back atmosphere with contemporary luxury. Stepping out into the lawn two rows of palm trees reach out to meet the peaceful blue waters of the Atlantic and you just want to keep on walking straight into the water. On the beach, right next to the pier, tables are set right on the sand. 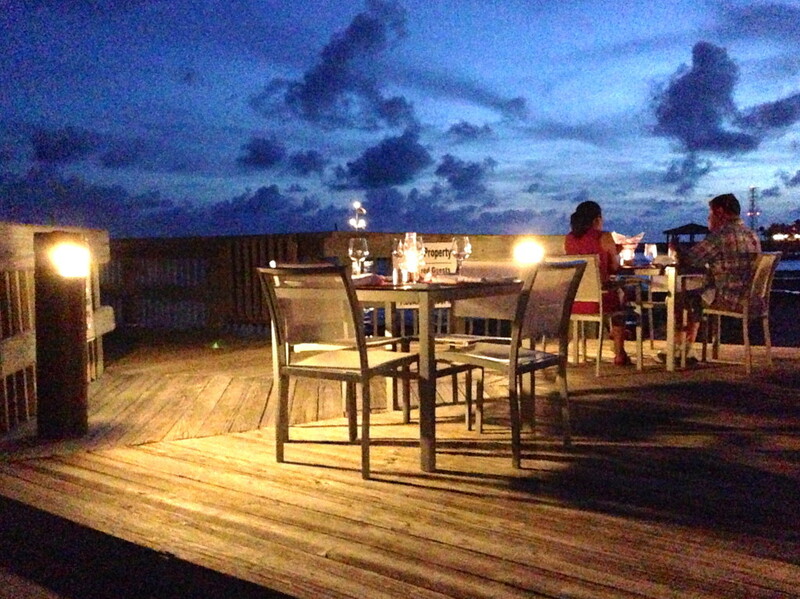 Here the Sun Sun restaurant offers a romantic toes in sand dinner. My husband and I chose a table that looked out into the sea. It was our first night in Key West and as we sat there sipping our cocktails and played with the cool sand between our toes (yes this might be one of the few restaurants where no shoes is actually encouraged) a complete sense of relaxation took over and all the stress that was still lingering from the busy past few weeks at work just floated away with the warm ocean breeze. 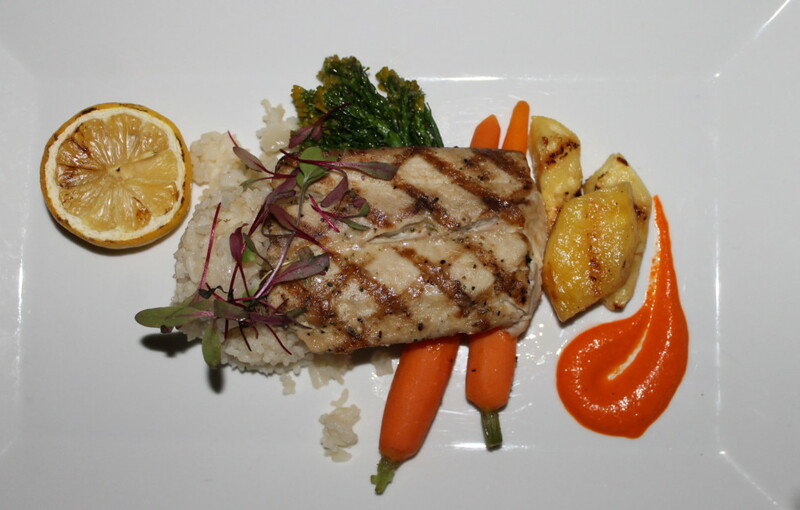 Our server was attentive and knowledgeable and made excellent recommendations from a menu that offered a great selection of dishes made with the freshest local seafood and locally grown produce. 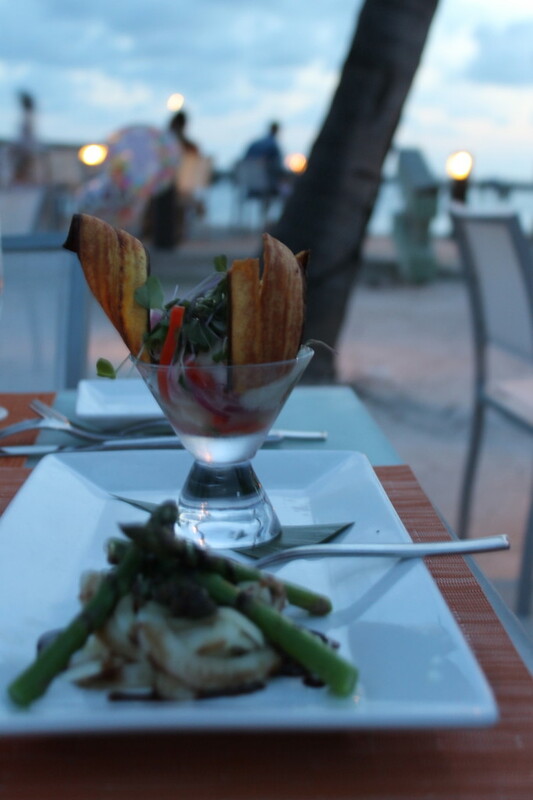 My husband had the ceviche; raw fish cooked in key lime juice with a blood orange glaze garnished with plantain chips. It was the perfect appetizer to cool of on a warm Key West night. 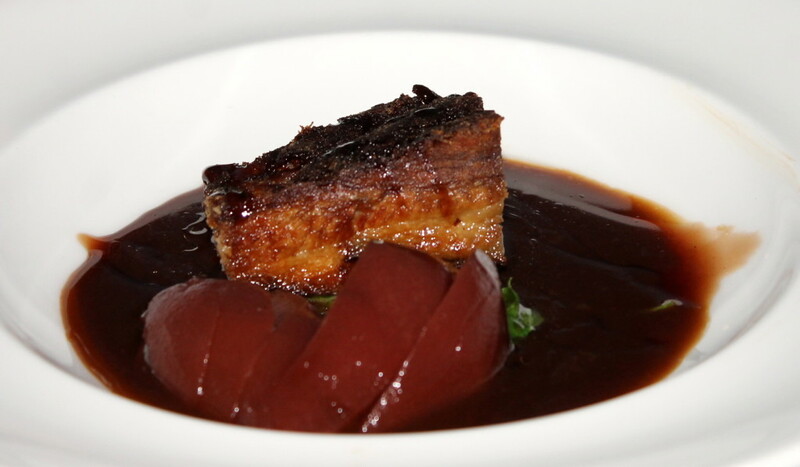 I started off with the braised kurobuta pork belly with spicy cider poached pears in aged balsamic. The succulent moist and tender pork with light crispy top was melt in your mouth delicious. Casa Marina has the perfect location to enjoy a beautiful Key West sunrise, as the sun sets on the other side of the island, but just before dusk the tropical sky changes colors no matter where you are on the island So as we enjoyed our appetizers we witnessed how the clouds in the sky went from light oranges and pinks to violets. The garam masala chicken over jasmine rice, spicy and full of flavor and every single bite was tender and juicy. The soft flavor of the mahi-mahi perfectly paired with roasted pineapple. As the dusk set in we continued our dinner under the warm glow of candlelight while the stars started to peek from behind the clouds in the deep, dark blue sky. 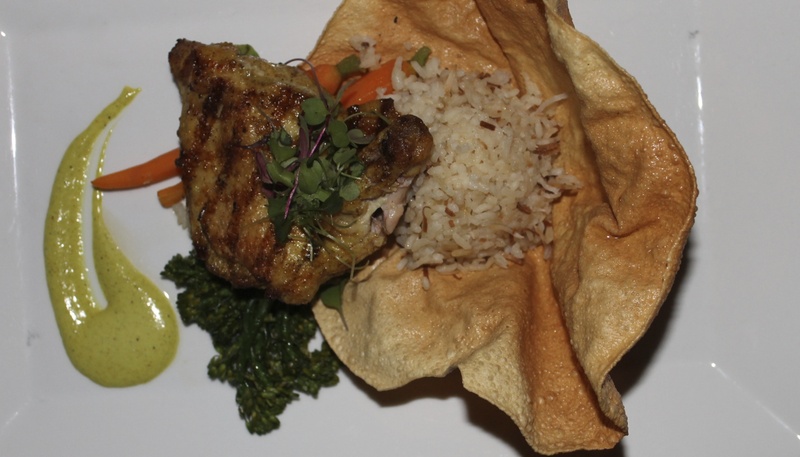 I had the garam masala marinated chicken with apricot-raising chutney while my husband enjoyed the grilled mahi-mahi accompanied with roasted pineapple and red pepper emulsion. We finished our meal by sharing a delicious key lime pie. I consider myself quite the key lime pie connoisseur and this was one of the best key lime pies I’ve had, it was pucker your mouth tart, had a great texture and just the right amount of sweetness. 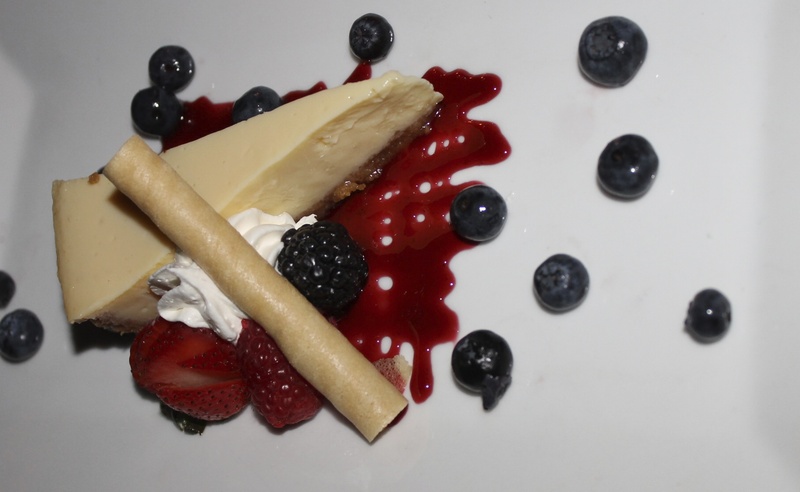 The fresh berries, berry sauce and whipped cream balanced the tartness perfectly. The key lime pie was sublime, one of the best I’ve had. 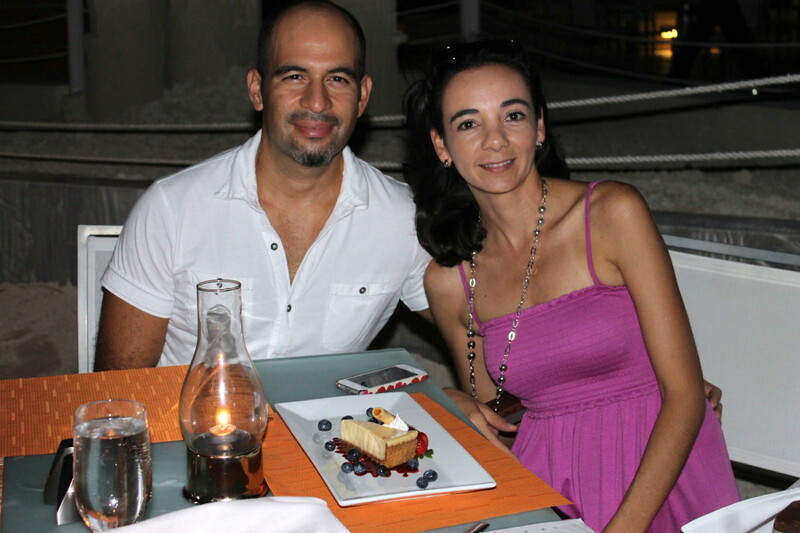 We ate at many wonderful restaurants during our stay in Key West but I have to say that the experience of dining right on the beach while you witness the day turning into night over the ocean as you enjoy a delicious candlelight dinner was by far one of the most romantic meals we’ve ever had. You can learn more about the Sun Sun restaurant by visiting the Casa Marina Resort website, you can also like the Casa Marina Facebook page to stay up to date with their latest news and offers. Beautiful!!! 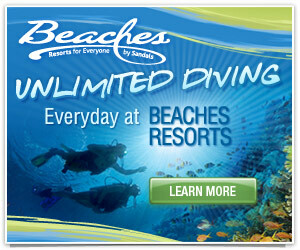 Looks like part of the perfect romantic getaway! Love it! Looks like a nice get-away. It really was, we had a wonderful time! This looks amazing! The food, the views, everything! I need a vacation soon! Looks like a great spot! I love the sunset picture and the dessert! The food looks amazing and the place looks beautiful. That looks amazing, I would love to go there one day. I love Key West!!! What a great view!! Checking it out next time I’m there!! Sounds like a great trip for the two of you!! Wow, what a beautiful resort! 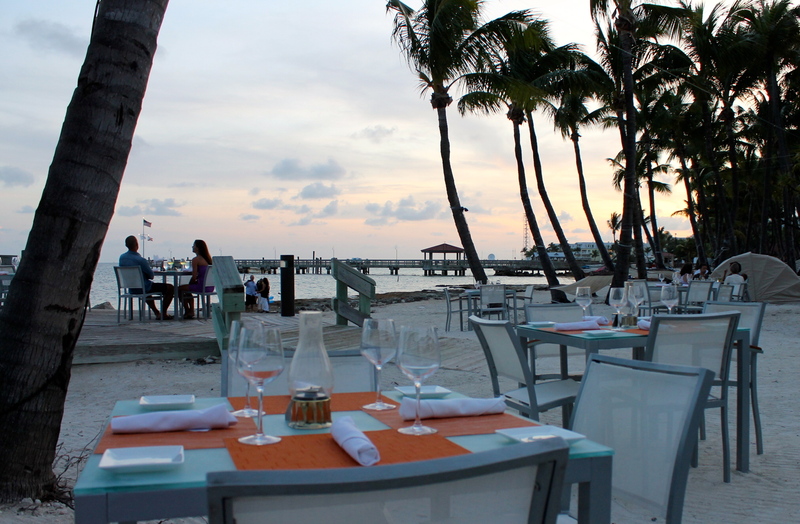 Love seafood and love walking in the sunset, too! Looks like a great place to spend a romantic weekend! Thanks for sharing your experience. Awww you look lovely in that sundress, perfect for the occasion and location! Oh what a lovely setting and what a lovely evening. If I remember it right, it has been four years since we were in Key West. Didn’t stay long though we were just at the beach and headed to Venice to visit my husband’s sister. It was beautiful though. What a beautiful place. Oh and the food, that looks delicious. I love Key West. My hubby and I have been saving up for 2 Florida trips, one to Disney for our kid’s and their grandparent’s sakes, and one for us to Key West. I’ll have to put this restaurant on our list. Thanks, that pie looks so yummy! This is really beautiful! How romantic! Sometimes parents just need something like this for sanity purposes. How wonderfully romantic!! It looks like you guys enjoyed yourselves, and the food looks amazing. 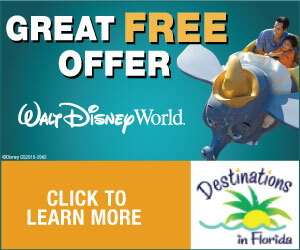 I live it Florida, but I have yet to Key West. Our family goes to Miami every Holiday. Maybe we should do a side trip in Key West. That looks absolutely beautiful and the food looks amazing! Ahh Key West 🙂 such an awesome place, we love going down there from Miami on our boat for a weekend, we always have a blast in Key West. Nice pictures! Super fun it looks like, me and my friends never have the chance to make it to the Keys because we always busy working even tough we been planning to go fishing there for the past 5 years, since Key West has the best Fishing in Florida..